In the 1980s and 1990s Ross Fiddes founded the Sound Construction Company and the Novocastrian Arts Orchestra. He has been a guest conductor with various companies in the Newcastle area. He was also artistic director and principal conductor for Opera Hunter in 1992-94. He has been freelancing as a conductor/musical director since. Since 2016 he has been Co-Artistic Director and Secretary of Newcastle Music Festival Inc (www.newcastlemusicfestival.org), a festival focused on good music over some 10+ days. Fiddes's larger-scale compositions have been performed by the Australian Opera, Opera Hunter, Newcastle University Choir, the Sound Construction Company, the Western Australia Arts Orchestra, the Hunter Orchestra, Shakespeare et al, Newcastle University Symphony Orchestra, Opera Mode, the Amherst Saxophone Quartet (USA), the 3rd Military District Band, Camerata Musicale, Anna Fraser and the Acacia Quartet, and the Bennelong Wind & Brass Ensemble. Fiddes was an invited participant to the 1995 June In Buffalo International Composers' Festival, State University of New York. Based on Chekhov, Fiddes chamber opera The Proposal has been performed by four different companies, including in workshop by (the then) The Australian Opera. His musical drama Abelard and Heloise, written with librettist Paul Kavanagh, received the 1997 major CONDA (City of Newcastle Drama Award) for Outstanding Achievement in Newcastle Theatre. Presented in a workshop form, this musical was judged against over 200 other theatrical events taking place in the Newcastle bicentennial year. 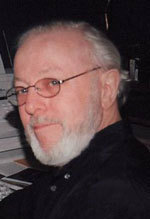 In 2002 Fiddes received a further CONDA for his musical direction of the premiere full staging of this work. After a composing hiatus of some 12 years, Fiddes has recently produced more vocal works including Playing Post Office, a chamber opera written in collaboration with US dramatic soprano Jennifer Wilson, a song cycle The Man In The Other Room for soprano and string quartet to poems of Samantha Fiddes premiered in November 2015 by Anna Fraser and the Acacia Quartet, and These Men, a song cycle for high voice and piano to poems by Leon Gellert, commissioned and premiered by soprano Ayse Goknur Shanal, in April 2015, in commemoration of the centenary of the ANZAC campaign at Gallipoli. His song cycle, Love Stories, will premiere in Newcastle and Sydney in August 2018 performed by baritone Michael Lampard with Fiddes at the piano. Fiddes's compositions have been recorded on the Wirrapang, Tall Poppies, Vox Australis, Taslig and Ferndale Studios labels. Image & refraction (octets: brass, string, woodwind) (1997) Commissioned by WA Arts Orchestra. Sonata for trumpet and piano : trumpet with piano (1986) Commissioned by John Kellaway.